Prepare to be impressed as you drive up the long driveway bordered by beautiful trees and rolling open land. 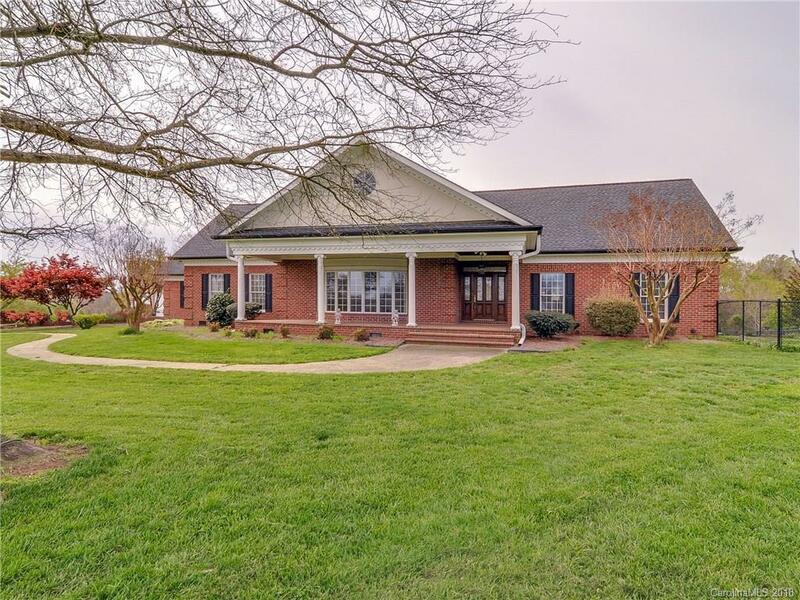 Located on 19 acres this beautiful full brick ranch with finished basement is a rare find so close to I485 and the Town of Harrisburg. You'll love the gorgeous hardwood floors and matching built ins. House features the popular split bedroom plan and has a huge master bath with separate shower and massive tub. Sunroom off of kitchen looks out onto private back yard. The finished basement has a full 2nd living area complete with kitchen, 2 additional bedrooms and living room. Currently zoned for 1 house per two acres there is potential for a subdivision similar to Hawthorne across street or keep intact as a beautiful private estate. Land is partially fenced and has an orchard and garden. House also has a 1500 square foot concrete two story building which could be used as a workshop, garage or storage. There are two additional buildings - the original garage, the other storage.